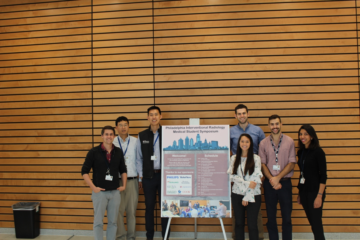 On December 3rd, 2015, the IRIG at the University of Texas Medical Branch (UTMB) held its first skills workshop at the conclusion of the fall semester. 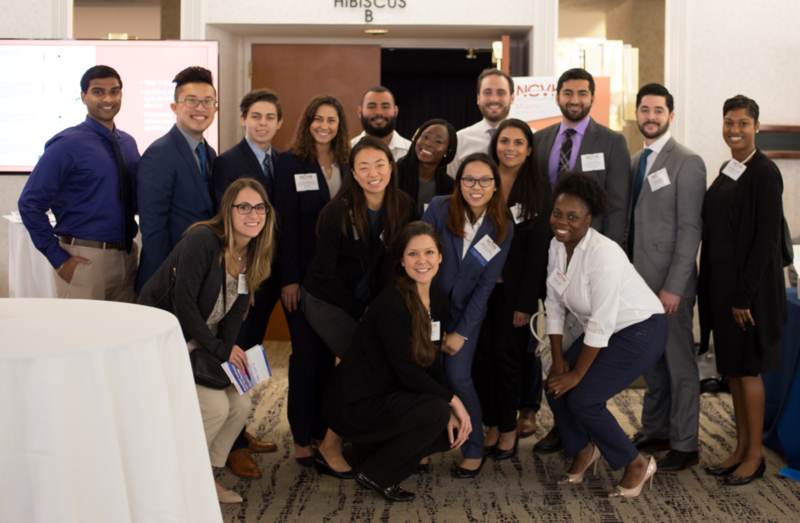 Students had the opportunity to get full tours of the IR department, meet faculty and residents, and attain hands-on experience in IR by rotating through three hands on stations. 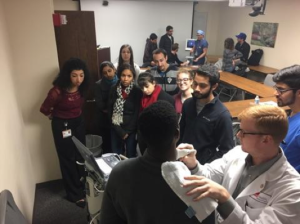 At station one, students learned proper handling and interpretation of an ultrasound machine. 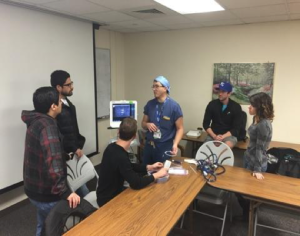 Students took turns examining their peer’s neck vasculature, thyroid, and even a volunteer’s liver. 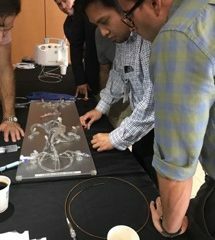 Students worked with residents and became familiarized with tips and tricks for quickly locating and identifying structures. 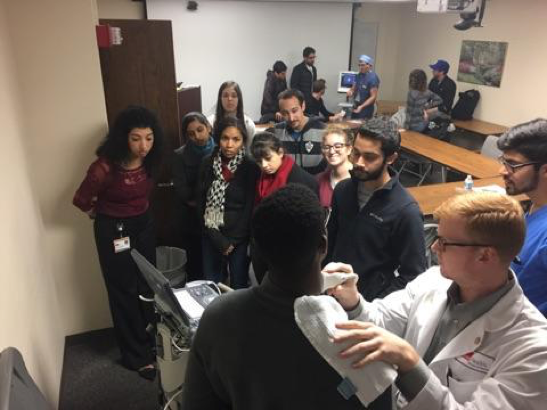 Station two gave students the opportunity to learn how to use ultrasound to identify soft tissue masses and perform a fine needle biopsy. 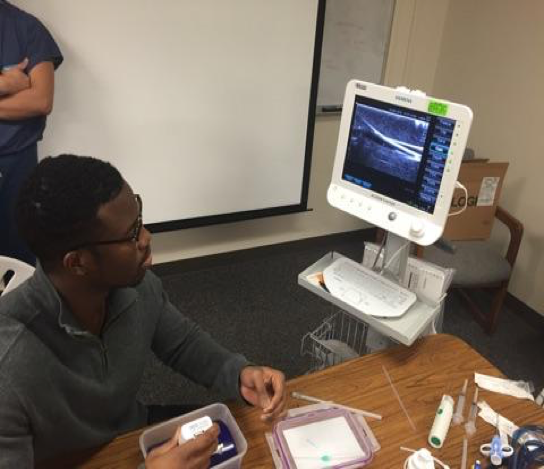 A Blue Phantom Soft Tissue Biopsy Ultrasound Training Kit was used to allow students to not only insert and guide a needle under ultrasound guidance but to also perform a simulated fine needle biopsy of a soft tissue mass. Station three gave students the opportunity to practice vascular access on the Blue Phantom Branched 2 Vessel Ultrasound Training Block Model. As in station two, ultrasound transducer techniques were practiced to identify vessels and help guide a needle and wire for vascular access. As a bonus, after vascular access had been achieved, a catheter was guided into place over the wire into the vessel. This station was very popular among students.